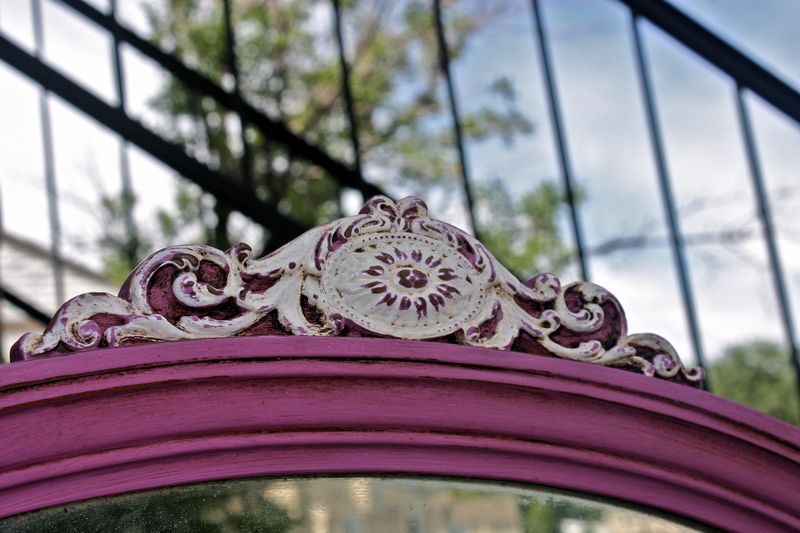 As everyone probably already knows, Pantone’s color of the year for 2014 is Orchid. 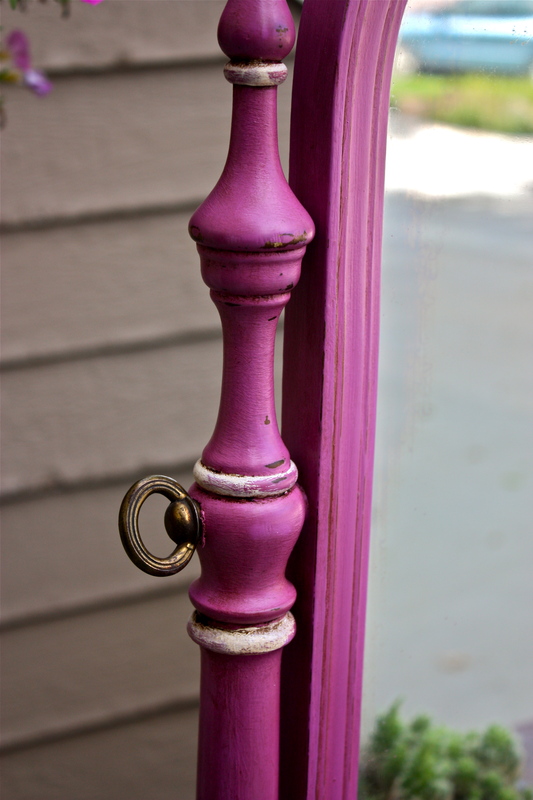 Orchid is a deep pink color with lavender and violet undertones. It’s really a gorgeous color…but I was skeptical of it being the color of the year. At first. It is one of those colors that commands a room if used in large quantity, and thus I never thought it would be a good color for a larger piece of furniture. 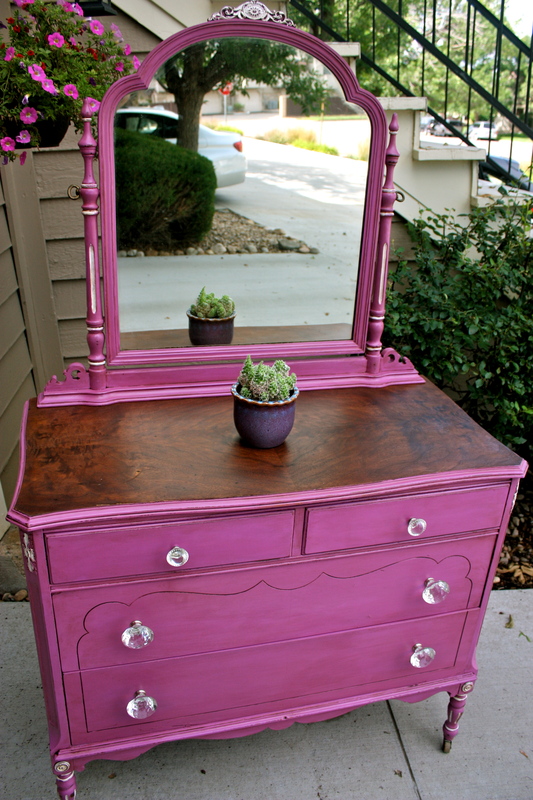 But I had this wonderful mid-century vanity chest in storage and thought, “why not?” Why not, indeed. 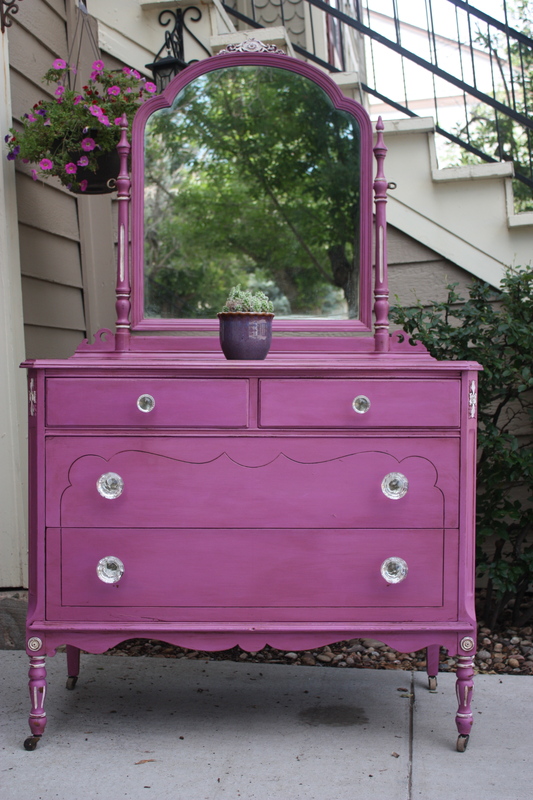 After seeing the finished product, I would gladly redecorate the bedroom or the guest bedroom around this lovely dresser! 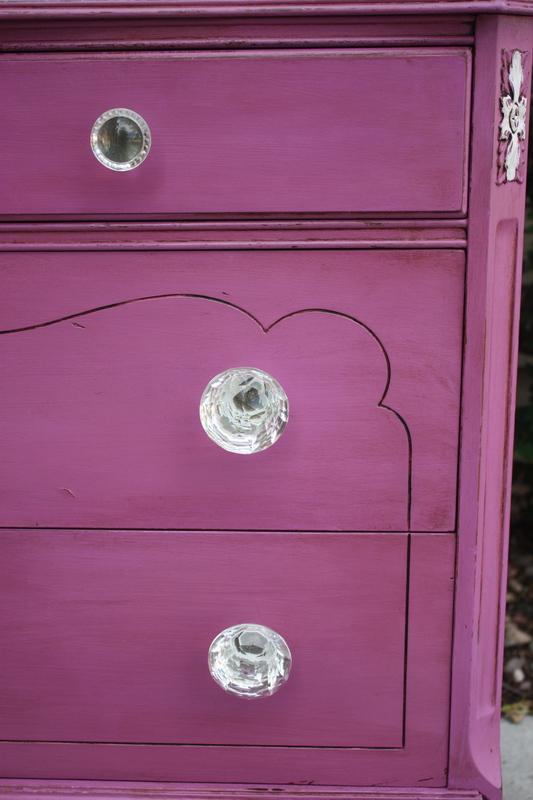 The top of this dresser had a gorgeous grain pattern that I refused to cover up with paint, even though it had a few burn marks and water rings that had gone too deep to fix. A medium walnut stain complemented the orchid beautifully as well as drew out the most interesting grain patterns. 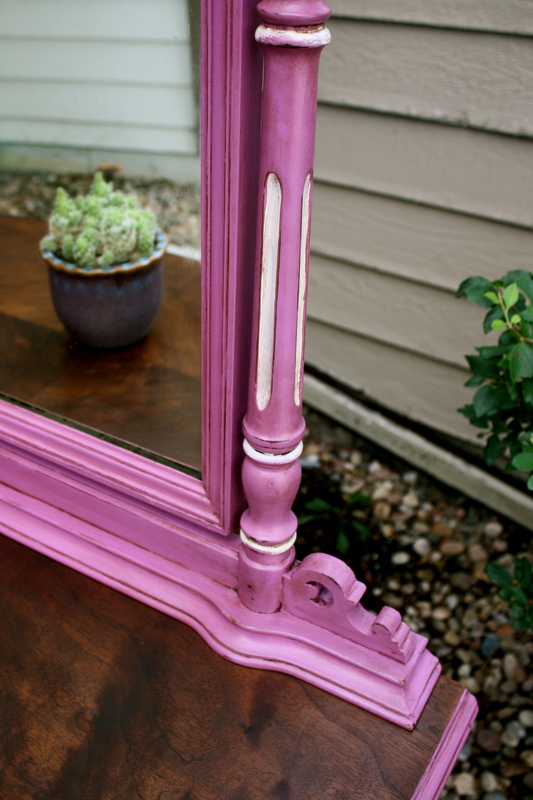 As you can see, the Hibiscus has been lightly distressed, especially over the accent paint. 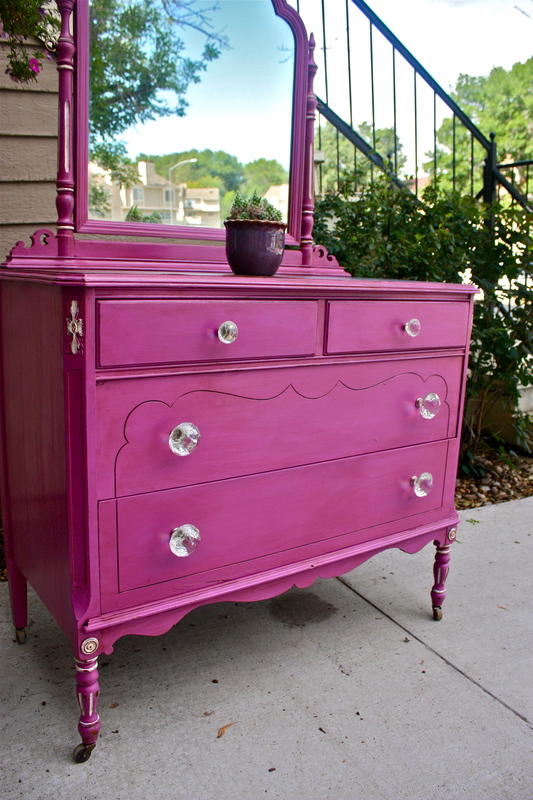 This dresser is over 60 years old and I still wanted that character and history to show through. And here’s one last look. The sun was reflecting off of the sheen from the hand-buffed wax finish and really made the orchid POP! And, of course, look at those gorgeous legs and the original wood casters! If you love this piece, she is up for sale over in the Etsy shop! Thanks for stopping by! I’m in love with all of this stuff! Just phenomenal and amazing items! Will be in touch to purchase as soon as we can! Thanks Emily! Look forward to hearing from you.